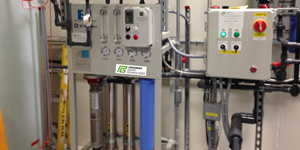 Pargreen Water offers a wide range of Commercial Water Softener options. 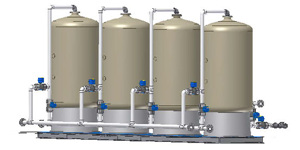 Systems range from traditional single tank softeners, to progressive flow multi-tank systems. Our parallel multi-tank systems use water meters to turn tanks on or off to manage flow rates. Our progressive flow softeners are more efficient, have a smaller footprint, and lower capital cost compared to equal sized traditional systems. Commercial Water Filter design requires knowledge of hydraulic loading and chemistry. An incorrectly sized Commercial Water Filter can create unacceptable pressure restriction. Worse yet, it may not actually filter very well! A Pargreen Water specialist will use your water analysis and distribution system details to design the correct filter system for your application. See how we can provide superior filtration while conserving water over other systems. Pargreen Water has Commercial Purification systems for ice machines, chillers, drinking water stations, boilers, steamers, contaminant control, and more. 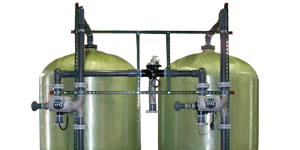 We can custom engineer a Reverse Osmosis (RO), Nanofiltration or Ultrafiltration system for your exact specifications. Our patented RO technologies can even recover up to 98% of all water used! Don’t settle for other 50% efficient systems that waste 1 gallon for every pure gallon made!